dlodlo vr glasses Virtual Reality VR Who said virtual reality glasses wasn't a thing? Dlodlo is the next gen! Who said virtual reality glasses wasn't a thing? Dlodlo is the next gen! Dlodlo announces world' lightest portable immersive virtual reality glasses! That's right! No PC Needed, Works with All Bluetooth Devices and uses Android 4.4 OS. No Dizziness, Distortion, Lag, or Screen Door Effect, supports 2D/3D Switch, Up to 4K Video, & Stereo Headphones. Adjusts Distances 58-70mm for Vision Problems – No Need to Wear Corrective Glasses. The thinnest, lightest VR glasses, weighing only 4 ounces (120g). 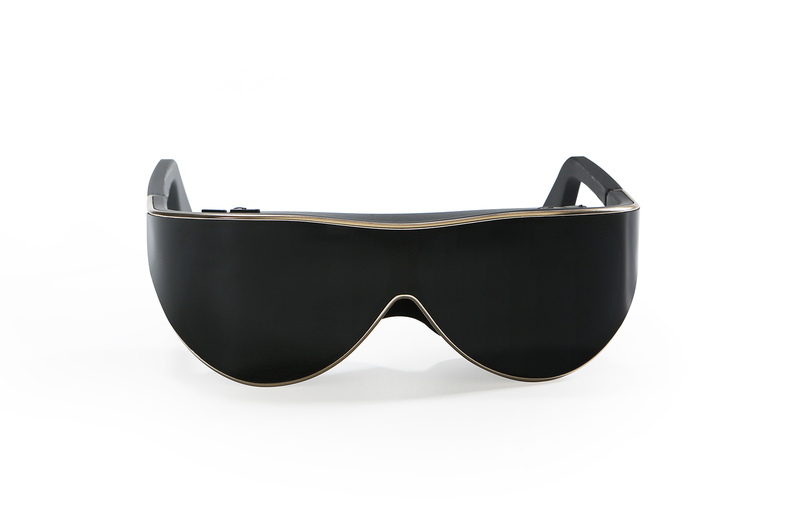 The only independent OS VR glasses; uses Android 4.4 OS with no need to rely on a PC. The highest HD resolution VR glasses at 2K+ Full HD clear screen resolution, with a distortion-free 16:9 aspect ratio. Built-in Bluetooth 4.0 can be paired with any Bluetooth device, including gaming devices, speakers, headsets, laptops, tablets, smartphones, etc. No dizziness, lag, distortion or screen door effect. Fastest refresh rate at 120Hz. First fully portable VR glasses, most portable, easy to carry and use. As light to wear as sunglasses -- 4 times lighter than other VR displays. Uses bionic optical design based on an imaging principle that adapts physical biomimetic optics for a wider FOV and more comfortable display. 110° FOV fully immerses users into Virtual Reality. Natural color effects: uses military-grade high-definition display modules for colors closer to nature for 97% more natural color spectrum. 3D Display supports 2D/3D switch and all video formats. Supports external stereo headphones audio-wide. Interactive mode with touch and move-enabled controls. Colors: Black, Ivory, Champion Gold. Dimensions: 163.3×54.4×30.3mm (not including glasses’ arms). Connector: Micro USB 2.0, OTG and stereo headphone.